You're ready to launch into college, springboard into a career and vault into a happy, successful life. There's just one obstacle standing in your way: money. Yes, you've come to terms with the fact that you need a student loan. You may be a little anxious about it, or you may be downright petrified. But with a little planning and know-how, you don't have to fear the student loan. Here's what you can do to prep for your loan and take the anxiety out of the process. Your adult life will include many components (and costs). Take a sheet of paper and list them all out. What's the average starting salary for your career choice? What car will you be driving? Where do you plan to live? What about other expenses (groceries, shoe-shopping, utilities, etc.)? Average those in also. Now, consider your proposed starting salary minus your costs. Whatever is left over is the amount you can realistically afford to pay monthly for your student loan. Figure out your interest rate (with a little help). Financial aid websites: You'll find a host of sources online to help you unravel the mystery of your loan interest. Government-hosted websites, such as , offer reference material for a wide variety of student loans and the variance in interest rates you can expect for each. Loan interest calculators: Determining your payments for the duration of the loan is a must. At direct.ed.gov, you'll find online loan calculators to help you determine your payments for a wide variety of student loans and repayment plans. Simply plug in your loan amount, your interest rate and a few other relevant figures, and the calculator will determine what you can expect to pay throughout the life of your loan. Talk to a professional: There are plenty of flesh-and-blood resources to turn to for help with deciphering your student loan interest rate. Talk to your lender at length. He's there to answer questions and clarify your loan's fine print. 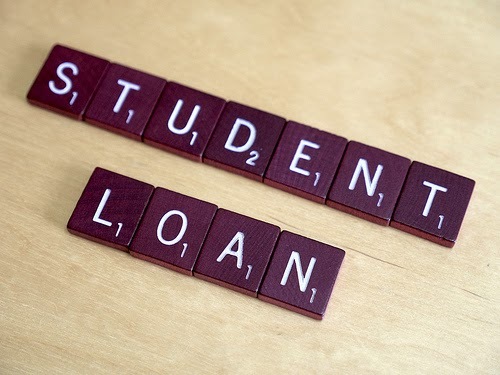 Your school financial counselor is another excellent source of loan interest information. You've plugged all the details into your loan calculator. You know how much you'll pay monthly and how many years it will take to pay off the loan. You need to plan for each year. Budget ahead for the expense of a new car and all the other growing pains of life. Student loans require a long-term plan, from beginning to end, in order to safeguard your financial future and avoid long-term debt. A student loan doesn't have to lead to nasty surprises down the road or a lifetime of debt. Take the time to budget properly, explore your options and plan ahead, and your student loan will be a stress-free stepping stone toward a bright and successful future. Photo by Simon Cunningham via cc. Image was cropped. By Andrea Crisp Copyright 2014 brass Media, Inc.
After a very successful summer including the Summer of Sharing charitable campaign and lending millions to our members, Community Financial Credit Union is moving into fall with more exciting news. Community Financial was just named one of Metro Detroit’s “101 Best and Brightest Companies to Work For,” for the ninth year in a row! This award recognizes companies for excellence in human resources practices that create exceptional work environments. We are pleased to be recognized for our values and proud that our team members love working here. We asked our three new team members from the Student-Run Credit Union team to tell us about what they like most about working at Community Financial. Our new Education Partnership Coordinators Erin Ilg, Christine Schilling and Angela Corbin are all starting work in their new positions with plenty of great ideas to promote the importance of financial literacy at a young age. Brand new to the credit union, Erin feels as though she has been working with her fellow colleagues for years and says that words cannot express how welcoming it has been to work at Community Financial. Angela loves that at Community Financial she can work as part of a team and have fun. “We have so many opportunities in Community Financial’s northern service region to really get involved and show students that learning, saving and preparing for the future is not scary but something that can put them one step ahead,” Angela said. 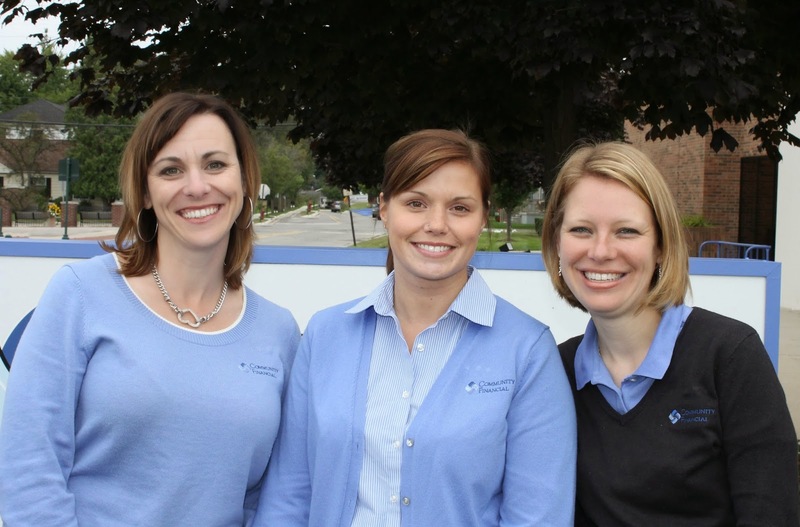 Erin, Christine and Angela will help run our Student-Run Credit Union program in 41 schools across southeast and northern Michigan. We are glad they are here and can’t wait to see what they accomplish in their new roles! We are the generation of efficiency. Technology is woven into our lives, and if it isn't digital, we likely aren't interested. Shopping and banking from the comfort of our couches is second nature, as is swiping our credit and debit cards without a second thought. But taking a step back and looking at how generations before us handled their finances may reap big rewards for our wallets. In the days of my grandparents, buying on credit wasn't embraced — unlike today, where going into debt for what we want is often the social norm. My papa paid in cash. If he didn't have the cash, he went without or saved until he did. We frequently hear about methods that can help us climb out of debt, such as the envelope system. Though many think it's an old-fashioned way of thought, paying in cash is a tried and true system for getting out of debt. It turns out, there is a lot of psychology behind paying with green. We really do spend more with credit. Picture yourself on a road trip, tired of driving and craving a break. You stop at a convenience store for a stretch and a bite. Opening your wallet, you have a credit card. With a quick swipe of the card, you've purchased a Diet Coke, two candy bars and some Fig Newtons, cause the figs count as fruit, right? Now rewind and imagine only a $100 bill in your wallet. What's your first thought? Often our reaction is, "I don't want to break this big bill for a small purchase." For many, paying in cash can be slightly painful, thus limiting spending. In a set of studies published in the Journal of Consumer Research, researchers noted that our method of payment can affect our impulse purchases. When we see the cash leaving our hands, we don't part with it as easily as if we were swiping plastic. Additionally, the larger the bills we carry, the less likely we are to make unnecessary purchases. 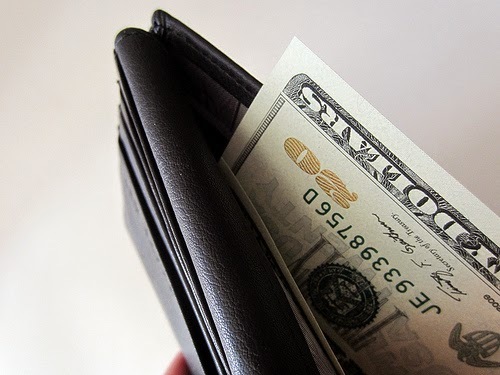 The study suggests that the emotional connection of paying in cash could reduce our impulse purchases, helping our budgets (and perhaps our waistlines, too). So we've determined that it's easier to part with our money using credit, but it turns out, we're also willing to pay more. Consumers who intend to use credit for a big purchase are often more focused on the aesthetics and features of a product, while those holding cash for payment paid far more attention to the price, according to a study by Promothesh Chatterjee and Randall Rose. The physical act of handing over our hard-earned cash directly connects our purchase to our budget in our minds. Using plastic is a more abstract action because the effects on your budget aren't immediate. Additionally, study participants who paid with credit were unable to recall the purchase price of the product in hindsight. Considering these psychological factors, how can this help us get a handle on our budget? Try your own experiment. Choose a week and review your spending, including convenience store stops, dining, online purchases, and everything else. Make a note of how much you shelled out. Now commit to paying only in cash for the next week – be brave and leave all plastic at home. Take note of how your thoughts on purchasing shift, and tally your spending at the end of the week. You might just find that paying in cash may be the best budget wrangler of all. Photo by 401(K) 2012 via cc. 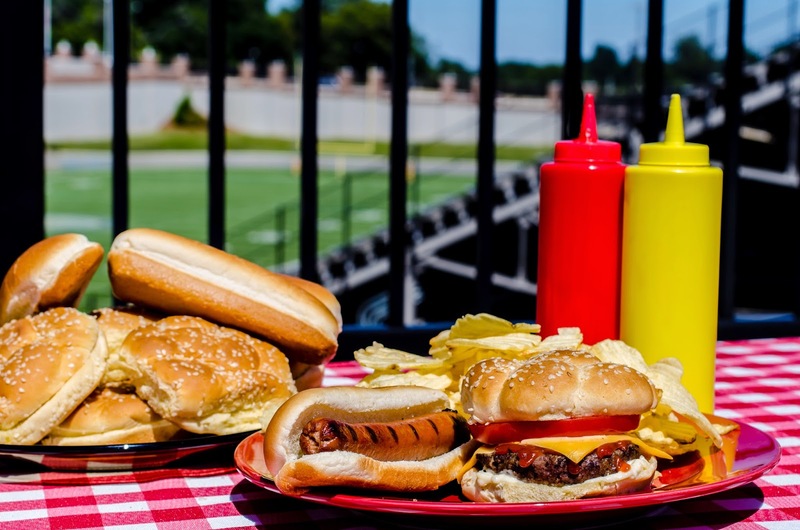 By Erin Pittman Copyright 2014 brass Media, Inc.
High school, college and NFL football games have started, which means tailgate parties will be in full swing before you know it! The thought of hosting the perfect tailgate might be a little stressful. What happens if you forget to bring enough silverware, plastic plates or cups? What if too many people show up? What if not enough? Hosting an enjoyable tailgate doesn’t have to be stressful! With the right amount of planning and preparation, you too can host an awesome tailgate party. 1. Plan a menu around finger food – Having your guests juggle their drink with one hand and their food plate in the other gets tricky. In order to cut down on the hassle for your guests, plan to serve finger foods that don’t require a fork, spoon or knife. 2. Select menu items that are best at room temperature –Without bringing the fridge and stove, keeping your food the right temperature is not the easiest task. In order to keep the amount of things you bring on the road with you down, plan your menu around food items that are best at room temperature. 3. Plan a 25% increase in guests – At tailgates especially, your guests will probably find friends. Plan to make food for 25% more people than will already be attending your tailgate. If you end up making too much food, have some of your guests take some home with them after the game! Bringing re-sealable packages of snacks, like chips or nuts, is a great way to ensure you have enough food for everyone. 4. Organize everything the night before – Running out of the door and on your way to the game in a rush can often ensure that some necessary item will get left behind. Make sure you have everything the day of your party by organizing everything the night before. If you’re grilling kebabs, skewer them the night before. Are burgers on the menu? Cut up your tomatoes, onions, pickles and lettuce the night before too. Plan where everything will fit in your car before heading off to bed and you’ll be in great shape in the morning! 5. Time your arrival and party perfectly – Most people say that a four-hour tailgate party is the perfect amount of time to have fun before the game. Arrive early so you have time to set up and make sure you get a good parking space. Plan to eat at least two hours before the game starts and don’t forget to factor in time to break everything down before you go inside the stadium. 6. Consider wind direction when positioning your grill – If it’s a very windy day and you have a charcoal grill, be sure you bring extra charcoal because the wind can make it burn faster. Point the front leg of the grill into the wind to minimize it coming into the bottom vents. If you have a gas grill, turn the grill perpendicular towards the wind to minimize its effect on your food. 7. Freeze your water bottles – When you bring your water bottles frozen, they can keep things cool for a bit and then hydrate you after they melt. 8. Pack extra of the essentials – It’s always a good idea to have extra charcoal, ice or tongs in case something breaks or walks off with someone else. 9. Use stacked plastic drawers – To organize every item you’d possibly need throughout your tailgate party, bring one or two plastic stacked drawers. You can label the outside with tape so guests can easily locate silverware, cups, plates, tongs or anything else you might be bringing. 10. Mark your territory with something… else – Plan to bring your team flag and something a little quirkier so friends and family will be able to find you easier. This item should be easily recognized by guests as a marker of your territory. Share your best tailgate party ideas with us! Comment below with your favorite tips.